It’s been said that love is not about how many days, months or years you have been together, but how you love each other every single day. The longer you’ve known someone, the more in tune you are to his or her needs. And that’s certainly true for Patti and Jim Wilborn, who will celebrate their 41st anniversary this April. Even though it has been more than four decades since the two met, you can still tell how deeply Patti and Jim care for each other. Over the last 40 years, the two have built a life and raised a daughter together. Jim says he still remembers meeting Patti and vowing, if anything ever happened to this woman, I am willing to spend the rest of my life taking care of her. Thirty-seven years later, that vow was put to the test. In 2013, illness struck. Patti was overcome with mini strokes and a variety of problems began to develop with her kidneys, thyroid, and ears. In a matter of months, she went from working and living her life normally to starting dialysis and being unable to work any longer. During this time, Jim was reminded of simple truths. “You have givers and you have takers in this life. In family, whoever has the opportunity to be a caretaker, there is no question asked, you just do it,” he said. Jim shared that in all those years of marriage, he never felt as close to Patti as he does now. As her caretaker, he takes a personal responsibility in making sure she receives the best care possible. After a few years of dialysis in Scottsboro, Alabama, Jim felt like Patti was not receiving the quality of care she needed. He began to search the internet for a provider that would improve her clinical care. He found Dialysis Clinic, Inc., and was drawn to their nonprofit mission. Already contemplating a move from Alabama to Pennsylvania to be closer to family, Jim emailed DCI to learn more about the mission. He was reassured that the “care of the patient” allowed DCI to care for someone on a more personal level. Once the Wilborns moved to Pennsylvania, they scheduled a tour of the DCI Monroeville facility to see if this new provider would be a good fit for them. Right away, they felt at home. “The DCI team was very helpful right off the bat and they continue to be,” Jim shared. When Jim asked Patti if the move from Alabama to Pennsylvania was worth it, she said yes. Patti said that the difference between dialysis providers was daylight and dark and can be seen and felt in the little things. “After I start dialysis, they dim the lights during treatment and adjust the alarms on the machines to a softer setting. And, I have a chair warmer. These things have helped to make me more comfortable,” said Patti. However, it was not just about comfort for Patti. She and Jim knew that an active medical team with an individualized approach to care was an important aspect necessary to improve her quality of life. 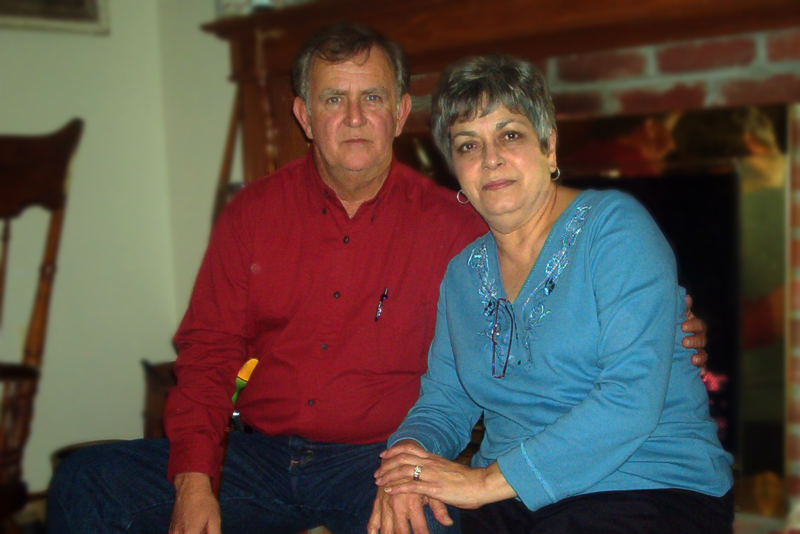 These days, Jim and Patti spend their time with close friends and loved ones. They enjoy watching the birds come to their birdfeeders and walking outside in nature. Most of all, they enjoy spending time with each other. “I love her outlook on life. Every time she smiles, she lights up the world. We are Yin and Yang, and she has always been my constant in a world of chaos,” Jim said. “And I love his persistence and compassion the most. Of course, I have also always been attracted to men with dark hair and light eyes!” Patti teased. Forty years of marriage is not without a few imperfections. Perhaps that is what makes each couple’s journey uniquely beautiful. 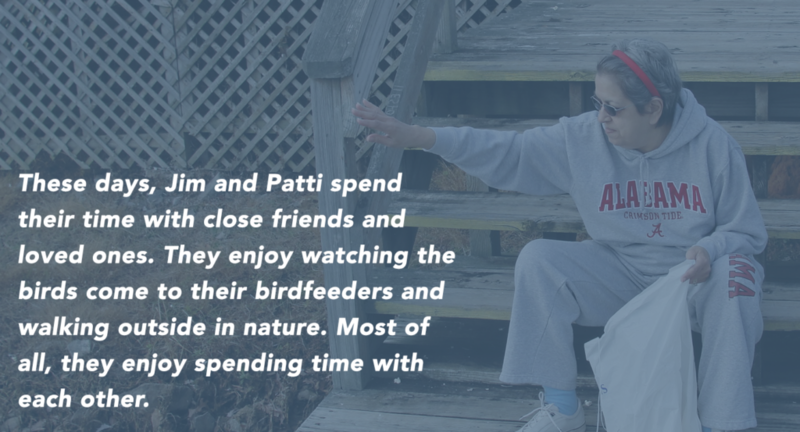 Jim’s willingness to research and find the best treatment for Patti’s health shows the true meaning of love and commitment.